Nagaram – City – Sujatha – Biking. Adventure. Nostalgia. Even the greatest writers of the world, according to me, produce one immortal work which stands the test of time. When you think about the author, you think about this particular work as it stays with you long after you have read it. Leo Tolstoy – War and Peace, Hemingway – The Old Man and The Sea, O Henry – The Gift for the Magi, P G Wodehouse – Lord Emsworth and the girlfriend, Jerome K Jerome – Three Men in a Boat, V S Naipaul – House for Mr Biswas and the list goes on. In India we have Premchand – Godaan in Hindi, Tagore – Gitanjali in Bengali, Vi Sa Khandekar – Yayati in Marathi, Sriramana – Mithunam in Telugu, Thakazhi Sivasankaran Pillai – Kayar in Malyalam. I have not included Indian writers in English in the list. In Tamil, I have my list of favorites but this is about Sujatha, the most versatile of Tamil Writers. He breathed a fresh lease of life in story telling in Tamil and has published many novels and hundreds of short stories. But his best work would be this short story – Nagaram (City). Published in 1974, I would have read the story several times and even today, when I read the story I shed a drop of tear. An ordinary day in Madurai! As usual, plastic pots were in queue instead of people waiting for water to flow in ‘hand-pumps’. Children were playing in dirt without any worries about tetanus. Corporation buses were belching smoke on the streets. Protein deficient policemen, in stiff khaki dresses, were controlling human and vehicle traffic going here and there. City’s people movement reminded one of ‘Bownian motion’ (ask people who understand physics). Thin people in handloom shirts were going slowly on the left-hand side of the road (not a long line), shouting slogans against government about price hikes on essentials. People with headgears but without footwear, amazingly tall towers of Goddess Meenakshi Temple, Vaigai river running dry and the bridge across: Madurai City! Papathi was lying in a stretcher. Six doctors were surrounding her. She must be about twelve years old. She had pierced her nose on both sides; her poverty stricken eyes were like glass which gleamed in hospital lights, holy ash on forehead. Even under the blanket which covered her up to the neck, one could see her hands were like thin bamboo sticks. She was in a feverish sleep, mouth open. Amidst this conversation which she could not understand a word of, Valliammal kept looking at her daughter with anxiety. The student doctors, one by one, looked at Papathi’s eyes through an ophthalmoscope. They checked if her eyes were moving under the torch light and took notes. Valliammal did not have the chit. Chief said, “First you admit her. We will take care” then he looked at the doctor next to him, “Dr. Danasekaran! I will take care of this case personally. See to it that she gets admitted. I have to take class now. Will come back and have a look at this kid again”. He left with his entourage as a Minister would leave the scene. Dr Danasekaran told someone standing nearby, “Srinivasan – get her admitted” and ran after the chief. Valliammal did not understand the word patient. She said. “He is dead”. Valliammal was not interested in leaving the child alone. She had not eaten anything since morning. The queue and the smell of the hospital were making her faint. She felt anger towards her dead husband. She took the chit and climbed the stairs. The chair was empty and dirty. She showed the chit to the guy who was sitting in the next chair. He glanced through it with quarter of his left eye and dismissed her, “Wait! He will come back!” he showed her the empty chair. Valliammal wanted to go back to her daughter. In her uneducated mind, the debate whether to wait or go back to her daughter expanded to fill up the universe. She wanted to ask, ‘will it take time?’ but was afraid to ask anyone. The guy who was to note down her income on the chit was coming back leisurely after admitting his nephew in the hospital. He took a pinch of ‘snuff’ folded his handkerchief into a rope and rubbed himself and became active. Valliammal did not understand this. She stared at the clerk. Valliammal took the chit with both her hands. The direction given by the clerk confused her more. She was loitering in the hospital like a kite freed in air. She was an illiterate. She could not remember the number 48. She was afraid to go and ask the clerk again. She had to run behind Amalraj. There were some more people waiting on the benches. Someone took the brown chit from her. The hospital smell coupled with her hunger was nauseating. She was called after half an hour. She went inside room number 48. Two people were sitting opposite to each other and writing on a big ledger with pencils. One of them saw her chit. He studied it at an angle. Are you coming from O.P department? She could not answer the question. As she came out of the room, her worries increased as it was close to two hours since she left her daughter alone. She could not figure out how to get back to her daughter. All rooms in the hospital looked same to her. It looked like the same person was sitting in different rooms. In one ward, there were many patients lying with plastered hands and legs. At some other ward many children were lying on beds most of them crying. With all the machines, patients and doctors crowding everywhere she could not figure out where she was going. She followed the route the doctor explained her. The gate was locked there. Her fear became a shock now. She started crying standing in the middle of the corridor. Someone asked her to stand aside and cry. Just like the aseptic smell, everyone must have got used to crying as well. She started talking – half wailing to herself, “Papathi! Papathi! Where should I go? Where would I see you?” She saw an exit gate. People were being allowed to go outside. She remembered she had seen the gate. She came out. She remembered that she went some distance from that place and entered the hospital. She started to run. She came to an entrance. She remembered the wooden stairs. She remembered the guy, sitting in a chair, asking about her income. There! But the entrance was locked. Through the grill she could see Papathi lying on a stretcher, sleeping. “Come at three ‘o’ clock. Now everything is closed.” She begged him for about ten minutes. He said something but she could not understand. And he could not understand what she was saying amidst her cries though both were talking in Tamil. Suddenly she saw him opening the door after taking money from someone. She just burst inside and went to her daughter and picked her up. She came out, sat on a bench and started crying. The chief doctor returned to his room after his classes. He remembered the meningitis case he saw in the morning. He remembered the new treatments mentioned in an article recently in B.M.J. (British Medical Journal). He called someone. “Paul you go and find out.” Paul went to enquire with the clerks. Meanwhile Valliammal was getting confused as to what she could do till the next day. The hospital surroundings were making her afraid. She was not sure whether the hospital would allow her to stay with her daughter. She started thinking again. She picked her daughter up and put her over her shoulders, the child’s limbs dangling near her hips. She stopped a rickshaw and asked him to take her to the bus stand. The chief was asking, “What nonsense? Tomorrow morning 7 ‘o’ clock? The child will be dead before that! Dr Danasekar you go to OP and check. She must be there. If there is no bed in that wretched ward, admit her in our department ward. Ask them to allot”. No one has ever seen chief shouting like that! Dr Danasekaran, Paul and Miranda (nurse) all started rushing to OP department. As the rickshaw was going towards the bus stand Valliammal started praying to God with a promise to offer handful of coins to the temple when Papathi gets well. Sujatha (3 May 1935 – 27 February 2008) was the pseudonym of the Tamil author S. Rangarajan, author of over 100 novels, 250 short stories, ten books on science, ten stage plays, and a slim volume of poems. He was one of the most popular authors in Tamil literature, and a regular contributor to topical columns in Tamil periodicals such as Ananda Vikatan, Kumudam and Kalki. He had a wide readership, and served for a brief period as the editor of Kumudam, and has also composed screenplays and dialogues for several Tamil movies. Penning with his wife’s name, Sujatha’s Tamil literary career spanned more than four decades. An engineer by profession, he was proficient in the language of technology. Widely read and knowledgeable, he presented his knowledge in simple Tamil. His works stood out during a time when Tamil composing was dominated by social/family dramas and historical novels. His identification with the masses, and his uncanny adoption of their way of talking, behavior, mindset and slang, helped make him popular across multiple demographic segments. His popularization of technology was one of his greatest contributions – starting with his Silicon Chip composing in Dinamani Kadhir and Yen, Yedharku, Eppadi in Junior Vikatan. At one point, his composing was appearing in numerous Tamil weeklies and journals simultaneously, including Ananda Vikatan, Kumudam, Kungumam, Kalki and Dhinamani Kadhir. Later he contributed as script/screenplay author for several Tamil movies. His notable movies included Vikram,Thiruda Thiruda, Boys and Sivaji. Most of his early novels/stories were made as movies, including Priya, Gaytri, Karaiyellam Senbagapoo and Anandha Thandavam, among others. In his later days he restricted his composing to essays such as Katradhum-Petradhum. He began to spend more time reading, especially old rare Tamil composings and composings on the latest developments in information technology and computing. Brilliant language and flow Ramesh. I think time will come people will feel it as Ramesh language with out bothering if the original is RA KI or Sujatha .. Thanks Mohan. Yes Next step will be a novel. But I would like to translate some short stories first to gain experience. Pingback: Kumarapuram Station – Biking. Adventure. Nostalgia. Pingback: VII A Vs VII C – My First Cricket Match – Biking. Adventure. Nostalgia. Pingback: Eldorado – Sujatha – Biking. Adventure. Nostalgia. Pingback: Thimala – திமலா – Sujatha – Biking. Adventure. Nostalgia. Nagaram Sujatha! Felt as if reading in Tamil. You did a magic with your magic wand. 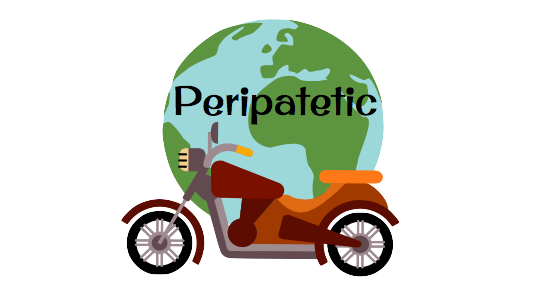 Pingback: Prize – பரிசு – Sujatha – Biking. Adventure. Nostalgia. Pingback: Ayodya Mandapam – அயோத்யா மண்டபம் – Sujatha – Biking. Adventure. Nostalgia. Pingback: The Door – கதவு – Ki Rajanarayanan. – Biking. Adventure. Nostalgia.